We are changing healthcare one app at a time by targeting the glaring inefficiencies in the American healthcare delivery model. We help our clients improve health outcomes, patient satisfaction and grow profit margins using our toolbox of proven mobile app technologies. We’ve targeted select patient segments that struggle with areas like medication adherence, discharge instruction compliance, and health literacy, and provide new innovative digital patient experiences like indoor navigation and clinic “check-ins” that directly improve critical patient satisfaction. We are helping our clients meet their healthcare consumers where they are, on their mobile devices, to extend the reach of providers to modify behavior with apps that remind, educate, track, and engage the patients that use them. In addition to serving as CEO of MobileSmith, Randy has held the role of Chairman of the Board since January 2017. In his position, Randy directs the company’s strategic growth and operational excellence, and is responsible for the successful proliferation of the company’s mobile app technologies throughout the healthcare spectrum. Prior to MobileSmith, Randy served as Senior Vice President – U-verse Field Operations at AT&T. Randy was responsible for all field operations for AT&T U-verse, including service, installation at customer homes, repair and maintenance. Randy began his career with Southwestern Bell in 1982, and has held various managerial positions in customer service, network, and external affairs throughout his career. During his career with AT&T, he also served as Senior Vice President of Enterprise Operations Support, responsible for leading the network services staff organization as well as the network standardization effort to move to common centers, best practices and a single suite of systems. He has led many of SBC’s acquisitions integration activities including AT&T, BellSouth, and Cingular. Randy received his bachelor’s degree in finance from Texas A&M University in College Station, Texas. 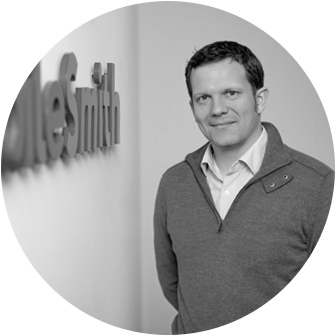 Gleb joined MobileSmith as Chief Financial Officer in April 2013, bringing with him eight years of experience in public accounting. In addition to supervising the company’s revenue, employee and resource growth, Gleb is responsible for guiding the company’s continued financial success as it expands into emerging healthcare sectors. As Audit Manager with EisnerAmper, LLP, a large regional New York-based accounting and consulting firm, Gleb oversaw the audits of SEC filers and clients with international operations. Later in his career at EisnerAmper, Gleb helped develop the financial reporting consulting group of EisnerAmper, where he provided outsourced CFO/Controller services to firm’s clients. Gleb received his BA in accounting and MBA in finance from Rutgers University in New Jersey. 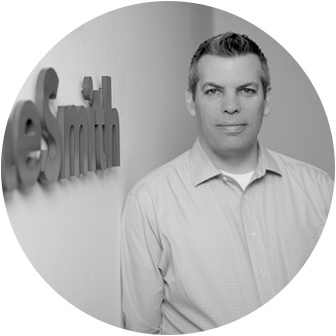 In his role as Vice President of Technology, Greg spearheads technology innovation in the design of MobileSmith’s proven suite of mobile Blueprints. This includes the use of emerging technologies and IT best practices to not only develop the highest quality mobile apps, but to support the seamless integration with partnering technologies. He was previously Chief Technology Officer for N.C. Department of Crime Control and Public Safety, providing nationally award-winning services for citizens, law enforcement and first responder support. Greg has more than 20 years of experience designing and leading large enterprise developments for various industries including biotech, finance, state and federal government, ecommerce and manufacturing. He holds a BSEE from the University of Nebraska and is a US Navy Submarine Veteran. 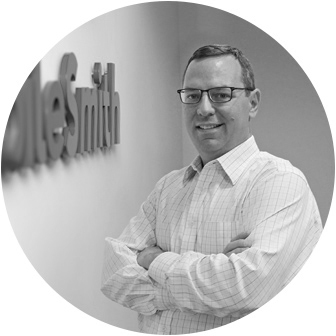 Dave joined MobileSmith to drive the consumer revolution in healthcare, helping hospitals rapidly create, deploy and manage custom apps that transform patient experiences using MobileSmith’s enterprise-class mobile app development platform. Dave has a keen understanding of consumer psychology and mobile technology that translates into transformational patient and staff workflows. His product innovations and evolutions prove that “Good Experience is Good Business” by increasing revenues, reducing cost and improving outcomes. Before MobileSmith, Dave’s been a top contributor at leading global companies and startups, designing products, inventing tech, building partnerships, selling solutions, and managing people and things. Dave is a published behavioral science researcher in areas such as human attentional processes, performance assessment, and experience design. Dave enjoys returning to his home town of Kitty Hawk where humans first learned to fly. 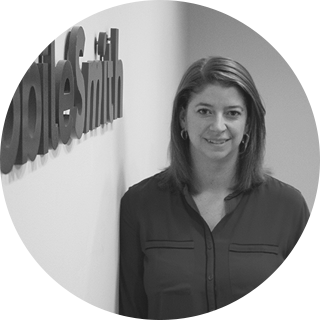 Since joining MobileSmith, Rebecca has driven thought leadership and strategic branding efforts to extend visibility for the company’s mobile app offerings. With a keen focus on healthcare consumerism, she has constructed MobileSmith messaging to clearly convey the company’s value proposition and the challenges that its mobile offerings address for existing and prospective healthcare markets. Rebecca’s background in consumer-focused mobile applications spans multiple industries, with a focus on leveraging mobile to provide choice and increased awareness. She is a graduate of the University of North Carolina School of Journalism and New Media and enjoys pulling for the Heels as well as her hometown Philadelphia Eagles. 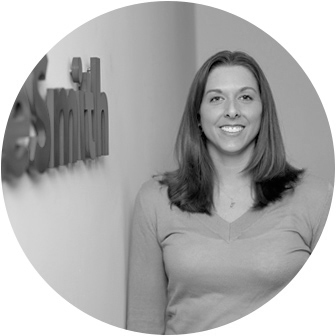 Kimberly has been on the MobileSmith team since October 2009 and currently oversees teams across both product development and quality assurance. At MobileSmith, Kimberly has put her process-driven background to work to support corporate growth goals by using the Agile methodology. She spent the first 11 years of her career at IBM where she honed skills in all facets of the software development life cycle. Kimberly has a BS in computer information systems from Appalachian State University and enjoys baking homemade treats for the company. Amir joined the Board of Directors in January 2010 and served as chairman and CEO from 2012 to January 2017. Amir has extensive experience in managing technology companies through their critical growth stages and utilizes his background to bring innovative ideas and products into the companies he manages. Amir has been advising companies on business strategy, restructuring and business development since 2005. During his career he held CFO, marketing and business development positions. Prior to turning to managerial roles Amir had several positions with investment funds in the US and Europe, focusing on high-tech investments. Amir holds a BA and MBA in Finance and Investments. In spite of his many duties, Amir likes to run and exercise, travel with his family to exotic places and initiate bridges between business people around the world. Ronen has joined the board of in mid February 2013. He is currently the VP for Business Development at Mendelssohn LTD in Israel. The company exclusively represents world leading manufacturers in Israel and EMEA and distributes over 35,000 different items. Until late 2012 Ronen served as a Colonel in the Israeli Army and served in many leadership roles of combat and command units. Ronen’s academic background includes leadership, strategy and management seminars and courses. He holds a BA in Finance and LLB. Ray was appointed to MobileSmith’s Board of Directors in August 2017. With more than 40 years of executive and governance experience in the retail and restaurant industries, he has been an active investor and manager in multiple successful transactions and brings a deep understanding of the consumer model and mindset. He also founded and manages Retail and Restaurant Growth Capital (RRGC), based in Dallas, TX. Ray received his business education from the University of Toledo in Toledo, Ohio, and is also a frequent speaker at various business, trade and industry associations. 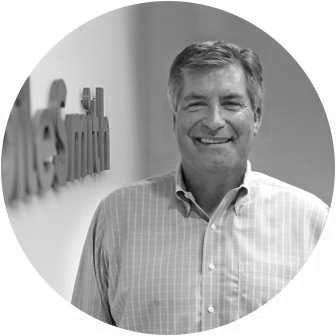 Mr. Robert L. Smith joined the MobileSmith board October 2017. Bob is a health care executive with a varied background in complex teaching, urban and rural health care settings. During his 40-year career in the industry he has held Chief Executive Officer and other executive positions of various for profit and non-profit hospitals and health care organizations, where he demonstrated ability to turnaround, create and grow business units in complex and competitive environments. He received his undergraduate degree from the University of Missouri and a graduate degree from Washington University in St. Louis. Jerry Lepore joined the MobileSmith board in March 2018. He is an experienced business and technology executive with a strong background in a range of industries, including health care, insurance, financial services, education, and software. In his 40-year career he has held CEO, COO and CTO positions in public and private companies and has provided transitional leadership in turnaround and/or growth situations. Jerry has also founded and operated several companies in the software and strategic services industries. He has experience in capital raises, public offerings, strategic sales, corporate acquisitions, and mergers. Mr. Lepore has served on boards of healthcare and software organizations, and is currently President of Lepore Associates LLC, a technology and operations consulting firm. He received a Bachelor of Science Degree in Mathematics from the University of Connecticut in Storrs, CT.